Our Oregon Winter White Truffle Training Solution is hand-crafted in small batches using only this species, Tuber oregonense. 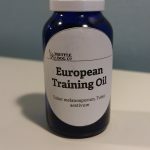 All truffles used in creation of this training oil are dog found, ripe, and are sourced from the lush forests of Washington & Oregon, in the United States. While culinary grade, these solutions are designed for training purposes, and as such you may not notice much perceivable aroma. 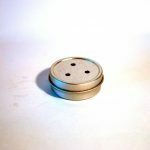 Our Oregon Winter White Truffle Training Solution is considered a single variety solution, and should be used accordingly in your training program in addition to other scent sources. TheOregon Winter White Truffle Training Solution comes in a 18 mL dropper bottle which makes transfer to scent articles easy. Only one or 2 drops are necessary. The training solution should be stored out of direct sunlight and extreme heat. 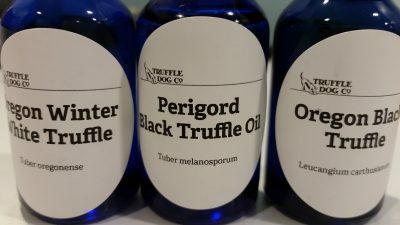 If you seek a training solution for another truffle species such as Pecan Truffle (Tuber lyonii), Oregon spring white truffle (Tuber gibbosum), Oregon brown truffle (Kalapuya brunnea), or Hungarian Sweet Truffle (Mattirolomyces terfezioides), it may be possible for us to create one for you. Please contact us for more details or inquires.